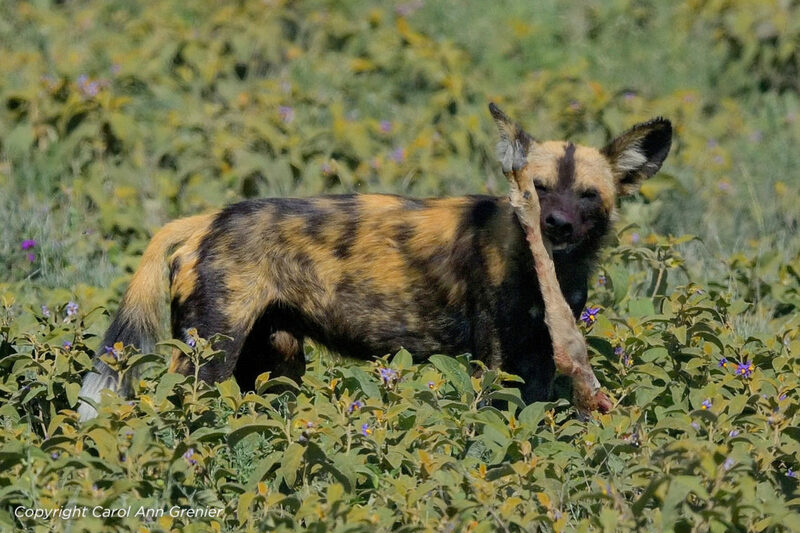 “Wild dogs, Cheetahs, Lions, Serval, Birds and more Birds!” The killing fields around the Ndutu and Masek lakes, the southern plains and the areas filled with natural water in the Ngorongoro conservation area allows for amazing birds of prey interaction. 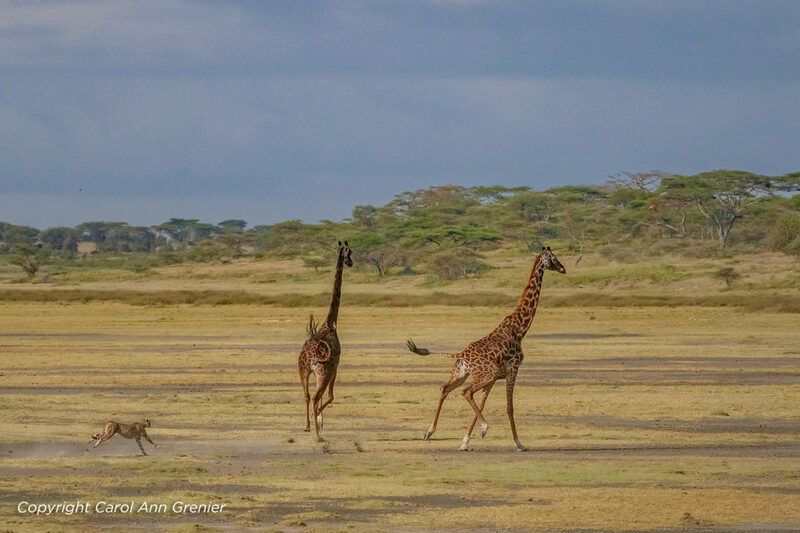 See more of Carol Gregory and her travel photography friends’ amazing photography taken a week ago in the Ngorongoro conservation area. This was the fifth time that CNP had the privilege of hosting from left to right, Carol Fern Gregory, Regula Straub, Carol Ann Grenier and Patrick Pevey. 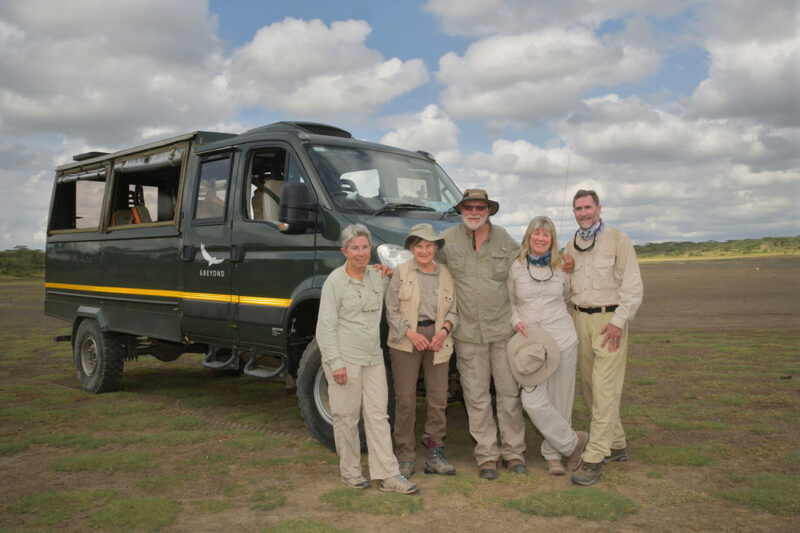 Their journey this time around would take them on an extended three week back to back safari starting in the Ngorongoro Conservation Area, going onto the Kgalagadi Transfrontier Park and finally the magnificent Chobe River. 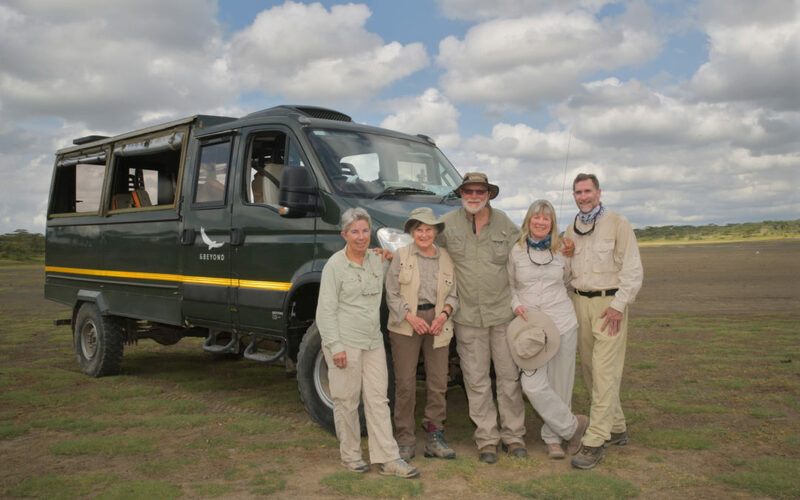 I asked the group to share with me the reasons why CNP was their operator of choice for all their African safaris. Carol Ann Grenier, a multiple award-winning photographer, honoured us with the following reply. “This was our fifth trip with CNP. 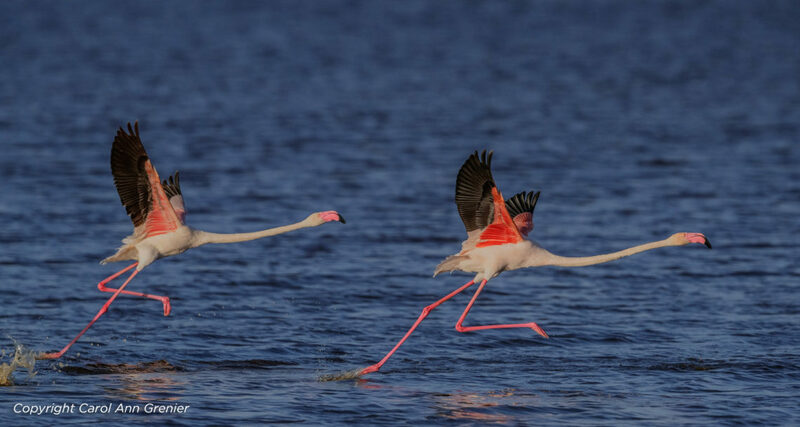 We were first attracted by the idea of using a boat on the Chobe river that allows a close approach to animals with advantageous lighting, angles and a rotating chair with an attached camera mount that frees us from needing to bring or use a tripod. 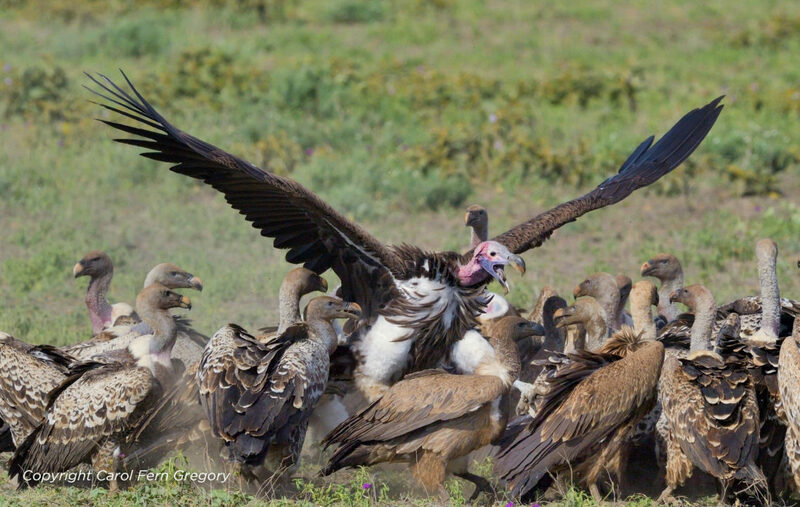 CNP also provided, free of charge, use of a Nikon camera and 600mm lens with teleconverter so clients did not have to haul a big heavy lens to Africa. The boat provided great photographic opportunities and we returned home with outstanding images. CNP safari vehicles provide similar camera mounts. Great photographic opportunities are the first thing that keeps us coming back to CNP. The second, more important reason, is that CNP passionately wants to make us better photographers and works hard to do so. Most photo tours review few, if any, client images during the trip. CNP provides instruction and detailed individual reviews of images, looking at the metadata to specifically explaining how your image could have been improved by operating your camera differently: using more or less shutter speed and depth of field, framing the image tighter or looser, changing your focusing mode to get consistently better results. This individualised feedback has made us better photographers and we learn more on each trip. 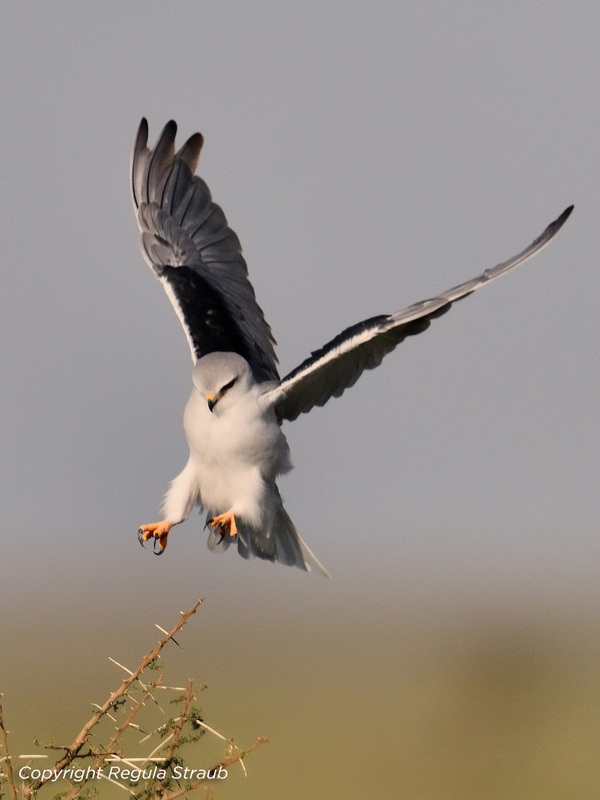 And we are having fun seeing amazing wildlife activity while learning to make better images with more impact”. Wow I cannot think of any way to say it better! The Ngorongoro Conservation Area south of the Serengeti was the driest that I have ever seen it. On arrival, we actually thought that the big White-bearded wildebeest herds actually already migrated north but that was not the case. 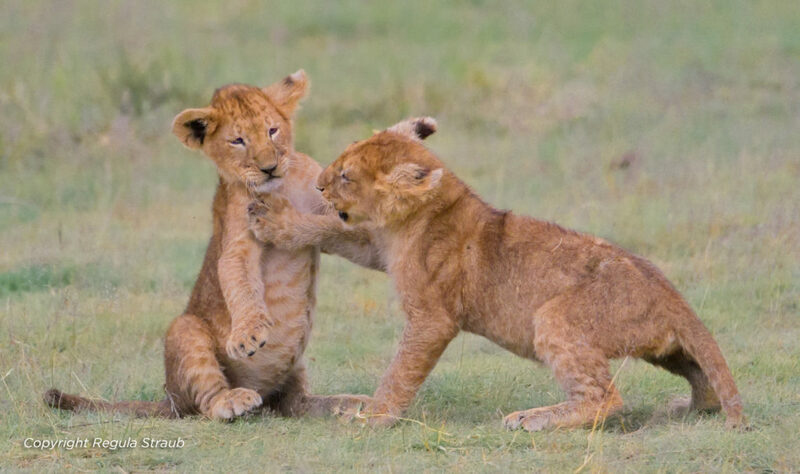 For the first two days, we concentrated on the Marsh Pride lionesses with their cubs to allow everybody to get their lion cub fix first. As we slowly worked our way further south towards the large wildebeest herds we suddenly noticed from afar Thomson Gazelles flying in all directions leaving just a bowl of dust behind. We were so sure that it was a cheetah chase that we immediately gave chase ourselves. On arrival, there was no cheetah in sight. So if a kill did take place the cheetah must have hidden its fallen prey. We kept on scanning the area and suddenly saw the source of all the commotion. Not a cheetah but a serval! 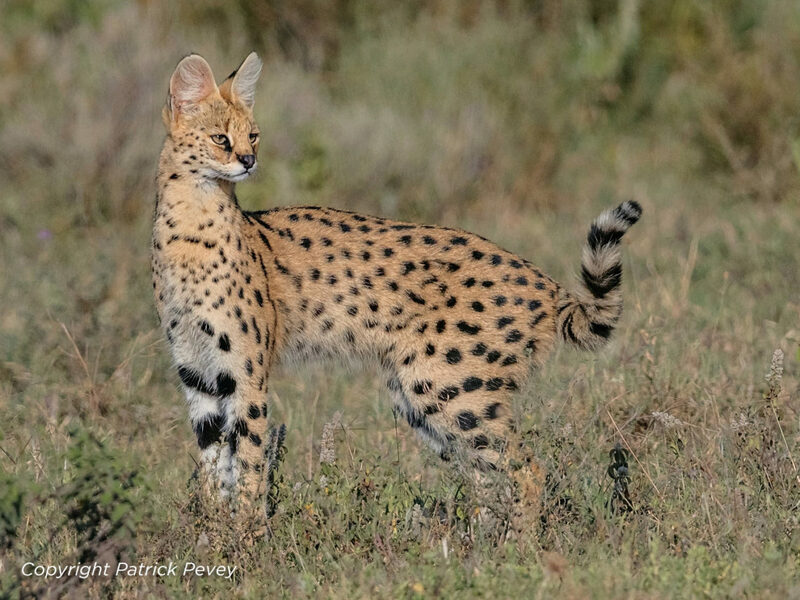 One cannot imagine how easy it is for a serval to disappear out of sight in no time? It took a lot of hard work and time just to nail a portrait of this magnificent cat. The lack of Cheetahs in general and cubs specifically puzzled me a bit. I will never forget a previous experience on the southern Ngorongoro plains where I watched in awe, 8 different cheetahs operating in binocular view. Our local guides who were operational around the Ndutu and Masek Lakes for months on end provided the explanation I was searching for. This female cheetah having a bit of fun with two giraffe bulls actually had 6 cubs a little more than 2 months before. Five were killed by the Marsh lions and the sixth was killed by a male leopard. The guides actually showed me photographs of this same leopard feasting on adult cheetahs that were dragged high up in trees as to avoid hyenas and birds of prey getting to it. We encountered two alpha male wild dogs a few days in succession as they were having a boys long weekend scanning their territory with the permission of the alpha female off course! What a privilege to follow them virtually on our own. The prolific birdlife actually caught me by surprise. We constantly got amazing opportunities to photograph exotic species and behaviour as we daily worked our way to the southern wildebeest herds. In actual fact, we one afternoon counted 29 different species of small birds within 30 minutes visiting a waterhole a mere 10 meters from our vehicle. 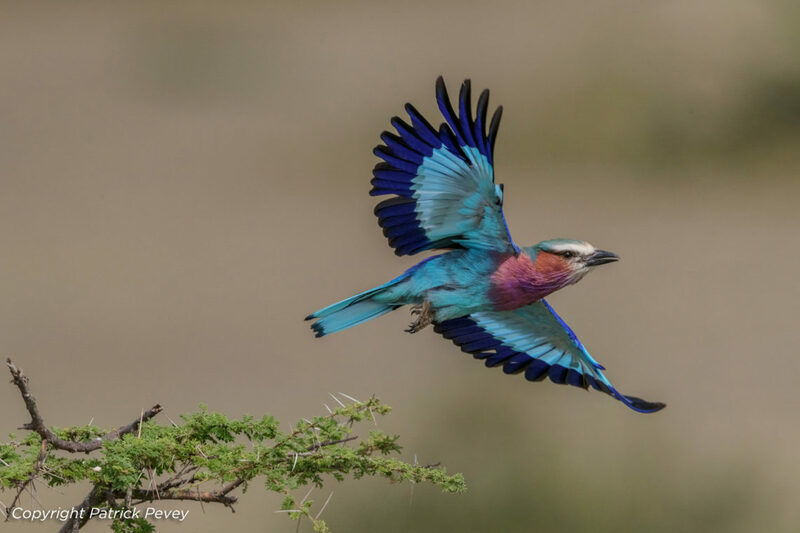 What is more, it was not only a case of photographing a lot of these species for the first time in all our lives but for all of us, these sightings actually represented a first tick on our bird species list. To be able to photograph such a high number of unusual species effectively in such a short time space was just mind-blowing. 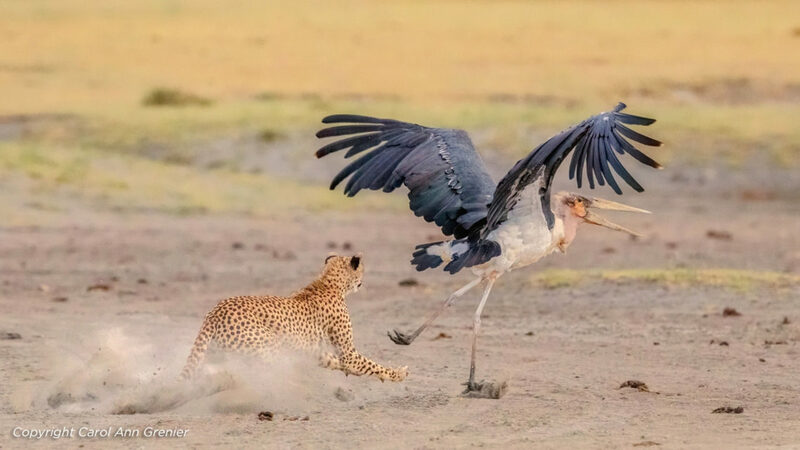 I end this blog with a photograph of our female cheetah opportunistically trying to take of all things a marabou stork as her next meal. The wider context of this photograph emphasises why cheetahs in general are endangered. This is the same female that lost five cubs to lions and the sixth to a leopard that now had to enter the Marsh Pride territory in search of fresh water, risking her life for at best a very very uninspirational meal! Why did she miss? Maybe she was not fully committed but she caught up with the Marabu Stork then applied ABS brakes in a bowl of dust before she launched herself forward and in the process allowed the Marabu to get lift off!